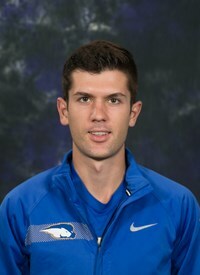 Hetherington, a native of Canada, is a junior on the Pride Men’s Cross Country Team. Hetherington served as the Colonial Athletic Association SAAC representative to the NCAA for the 2015-16 academic year. He is also in his second year as his team’s SAAC representative and his first year as Hofstra’s SAAC Vice President. During the fall semester, Hetherington and his SAAC colleagues filled shoeboxes with gifts for children and donated them to a local hospital. In Fall 2014 Hetherington had a perfect 4.0 GPA, earning a spot on the Provost’s Honors List. He was awarded the Colonial Athletic Association (CAA) Commissioner’s Academic Award for excellence in the classroom during the 2015-2016 academic year. Currently, Hetherington is carrying a 3.96 GPA, majoring in biology with a minor in biochemistry. Sjulin is a senior, outfielder on the Husker’s Softball Team. Sjulin has been an outstanding role model in the University of Nebraska athletic department and for the softball program. Sjulin was named a Big Ten Distinguished Scholar (2015, 2016) and has been part of the Nebraska Scholar-Athlete Honor Roll all of the six semesters she’s been a Husker. Sjulin was named as a recipient of the Tom Osborne Citizenship Team during 2013-2014, which includes a minimum of six service projects in the academic calendar year. She is the current SAAC President for Nebraska Athletics and has received many awards in her career for off the field activities including the Nebraska Student-Athlete HERO Leadership Award (2015) and the Big Ten Sportsmanship Award (2015). Sjulin is pursuing a Biology degree. She is currently carrying a 3.828 grade point average.